A couple of days later I was out treasure hunting with a friend. 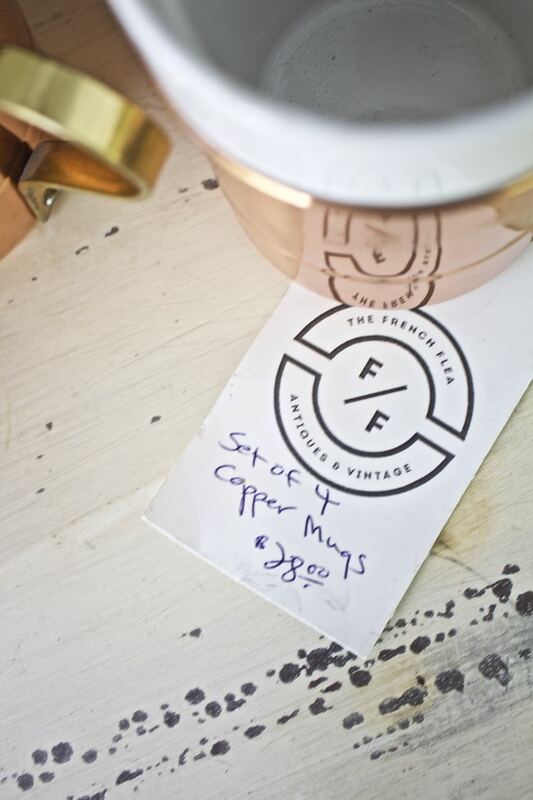 We happened upon a fantastic antique shop filled with lots of vintage goodies. 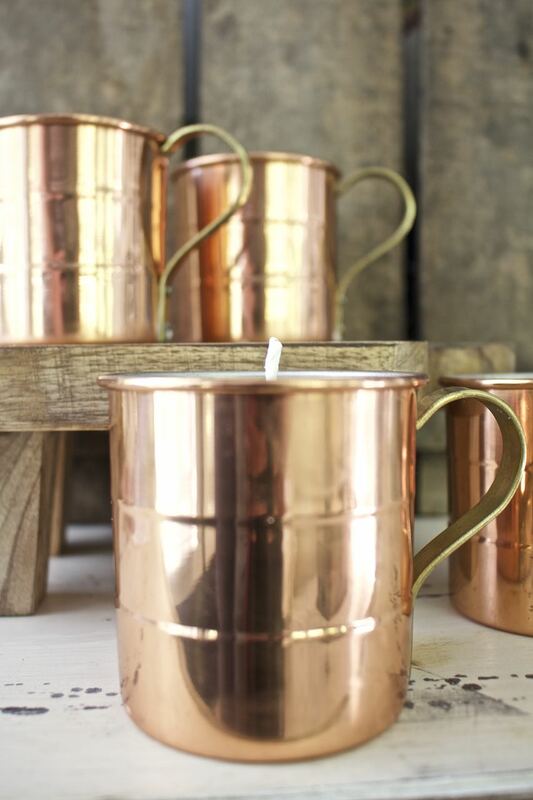 One large booth had lots and lots of copper items and luckily for me they were an additional 40% off! 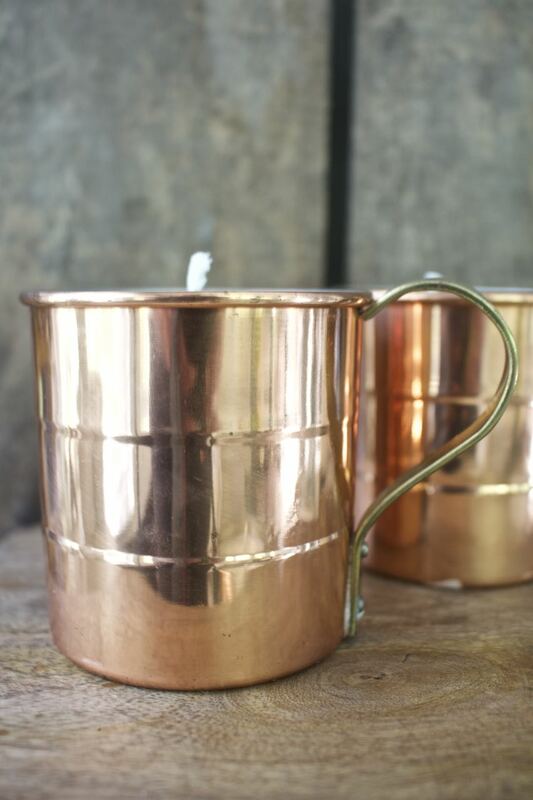 I purchased lots of copper items, including these fabulous mugs. I’m not quite sure of what specific beverage they are used for and I am not even sure that they are truly vintage. But…the $16.80 price tag (after discount) for four mugs was too good of a deal to pass up. 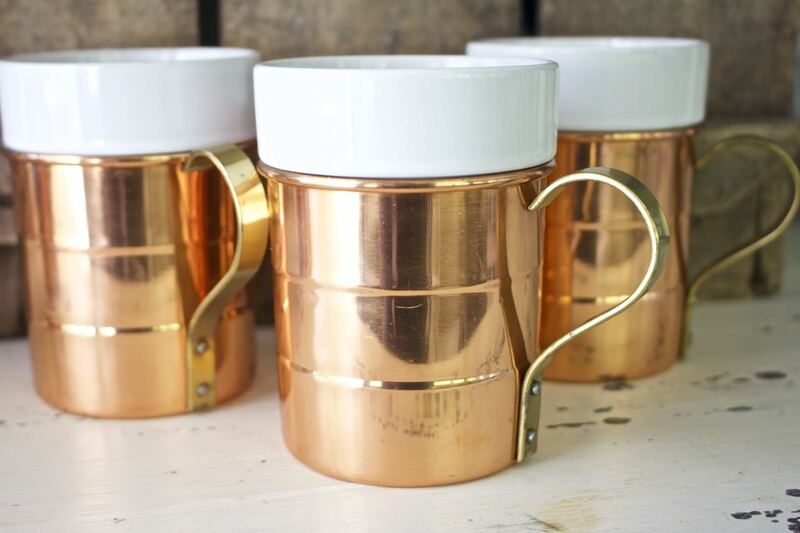 These copper mugs are larger than than the inspiration cups. 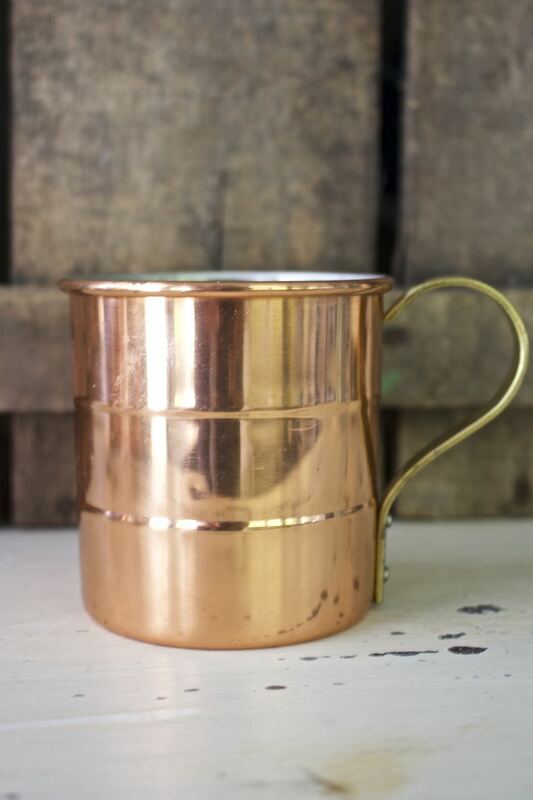 My copper mugs hold approximately 12 ounces of liquid. Skewers to hold wicks. You could also use pencils or popsicle sticks. 2 pounds of Soy Candle wax flakes. Rough rule of thumb is double the amount of wax for the size of your container. Melt in a double broiler or old metal coffee can. Assemble wicks while the wax is melting. 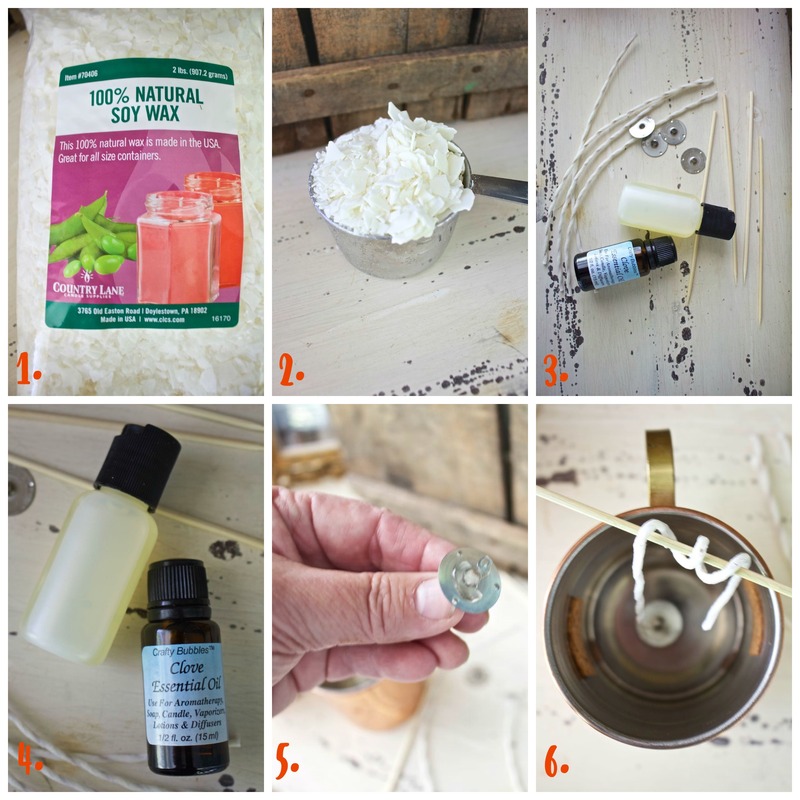 Add essential oils to melting wax. I used 10 ounces of fragrance. Rule of thumb is 10 drops of oil per 16 ounces of wax. I wanted a more potent fragrant candle. 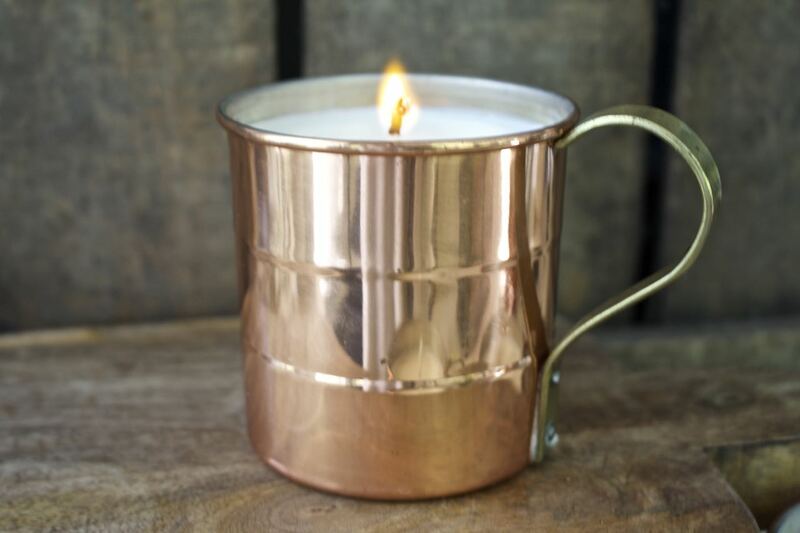 Add a dot of hot glue to the bottom of metal tip of wick and place in the bottom of mug. 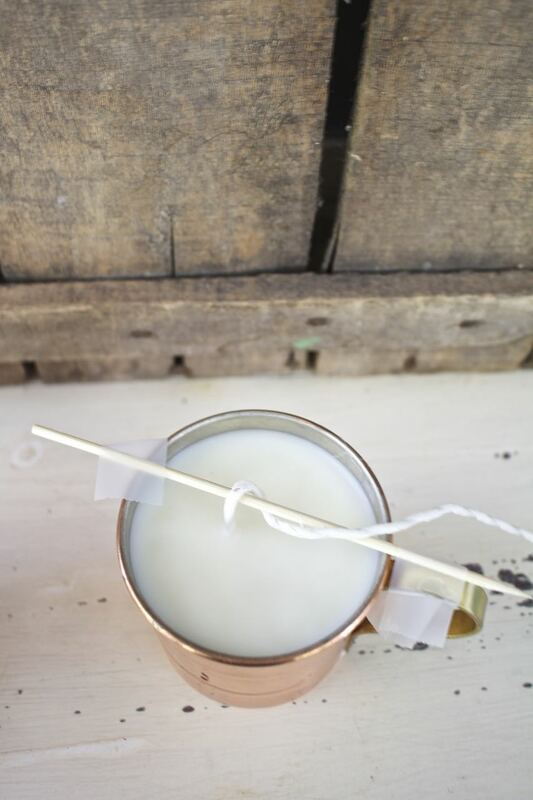 Wrap the wick around the skewer to keep it from falling into melted wax. Pour wax into mugs, be cautious and avoid getting burned. Let sit for 6 hours until wax is hardened. 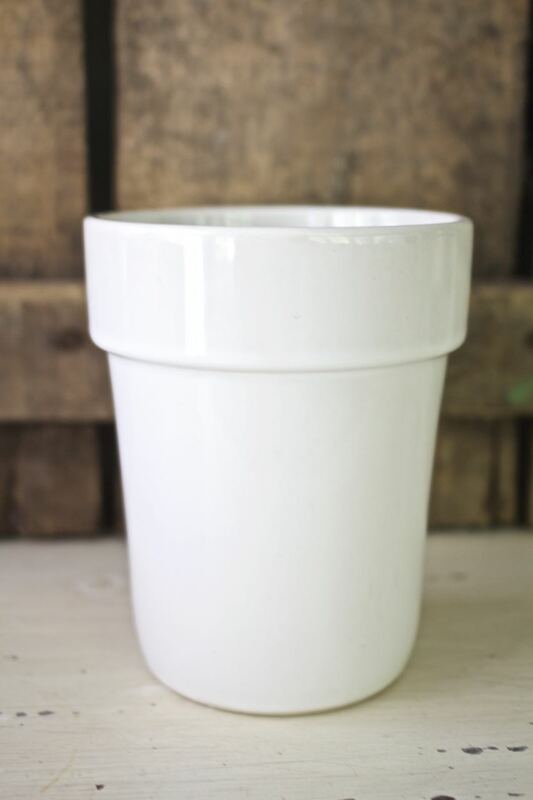 I love how the soy wax hardens to this bright white color. Not to brag…but I nailed it LOL. The candles smell so good that they don’t even need to be lit. Even Honey Bee commented about how great the house smells. It’s like autumn in a cup. When lit, the fragrance of the cloves is fabulous. The perfect blend of spice when paired with the cinnamon. 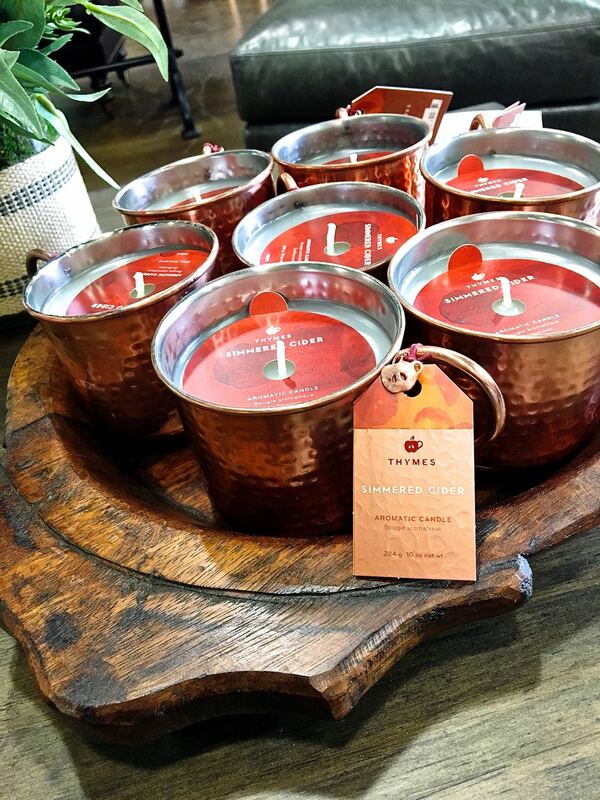 So, as a reminder – the inspiration spice candle was $38.00. My candle cost $7.55! That means four candles cost $30.20 – still less than the original candle. And my candles are twice the size of the original. I am super excited and love how my candles turned out. I plan to keep one and give the rest as gifts. Lovely, and what a great savings. 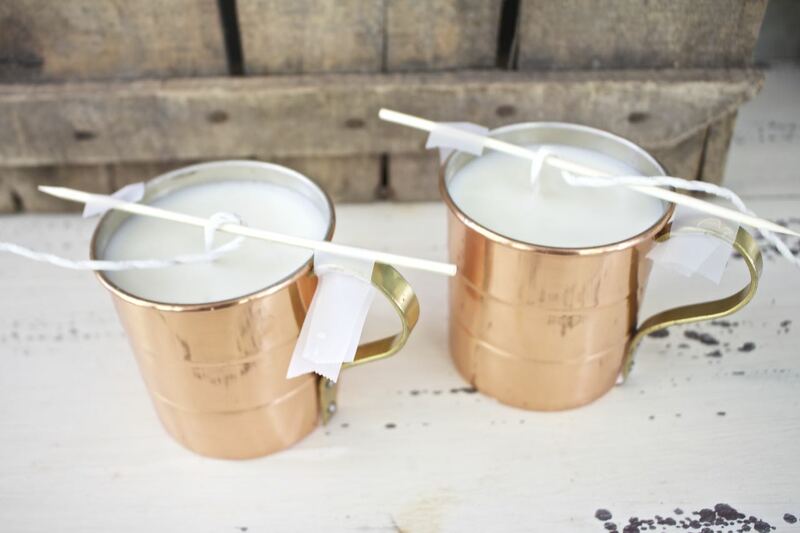 LOVE the idea of candles in a copper mug, and of course, I love that you figured out a way to DIY it!! I totally would have paid the money as I’m such a sucker for candles. Thanks so much for this inspiration!